Our spring Foodie Float schedule begins with a winemaker experience! 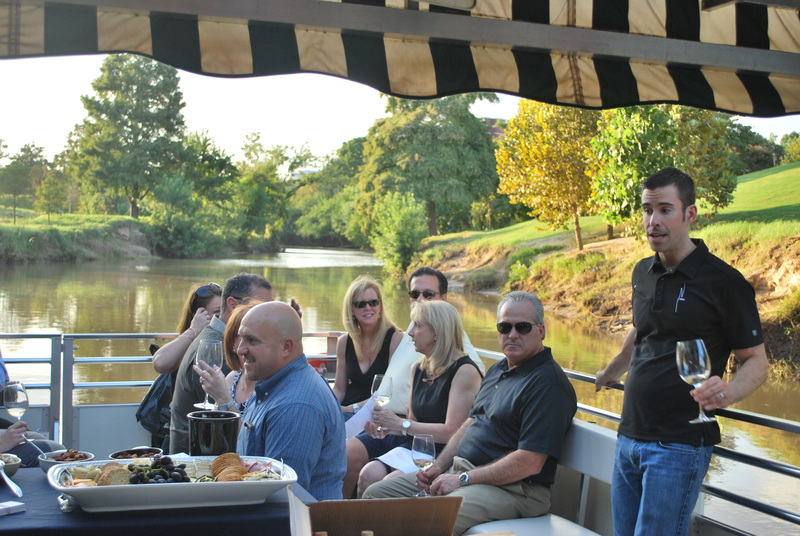 Winemaker, Ryan Levy, a certified sommelier, wine educator, and Le Cordon Bleu trained chef, will lead guests through a discussion of his award-winning wines while taking in exceptional views of Buffalo Bayou’s lush landscape from our pontoon boat. One of his wines was recently awarded Best of Show out of 3,000 wines in the Houston Rodeo Wine Competition! A selection of cheeses will also be served. Learn more about Nice Winery‘s wine-making and vineyards in advance. Only 20 seats available.